Ontario, Canada’s most populous province can trace its winemaking roots back more than two hundred years – a history older than the country itself. And after many trials and tribulations, its wines now compete with the best of Europe and the Americas, winning numerous international awards. 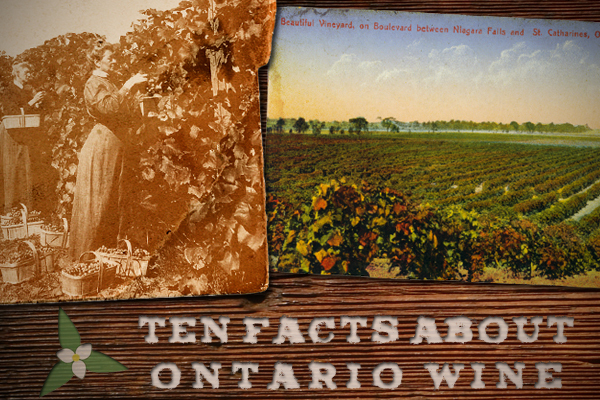 Below are ten interesting facts about the province’s wine industry and how it came to be. Special thanks to Library and Archives Canada for providing many of the photographs and Tony Aspler’s talk at the Empire Club of Canada for much of the information in this posting. When most people think of Ontario wine, they usually associate it with the Niagara Peninsula, Canada’s largest viticultural area. 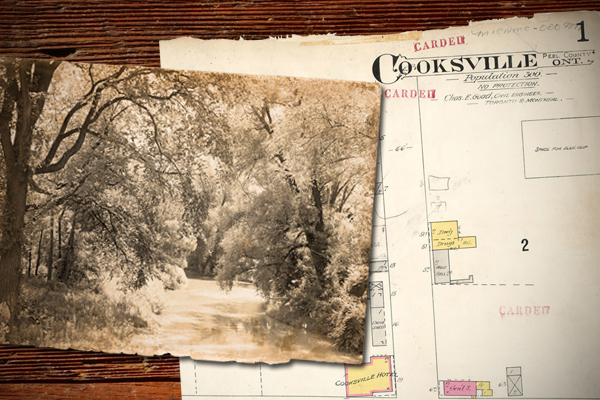 So it might come as a surprise that the province’s fist vineyard was further up the Golden Horseshoe in Cooksville – what is now Mississauga, a suburb just west of Toronto. Johann Schiller, a German corporal awarded land hear for his military service, is considered by many to be the father of Canadian wine. Harvesting labrusca grapes near the Credit River, Schiller created the province’s first vineyard in 1811 by selling wine to his thirsty neighbors in Upper Canada. Count Justin de Courtenay, a Frenchman from Lower Canada who purchased Schiller’s property had high hopes of making Ontario wine internationally renown. 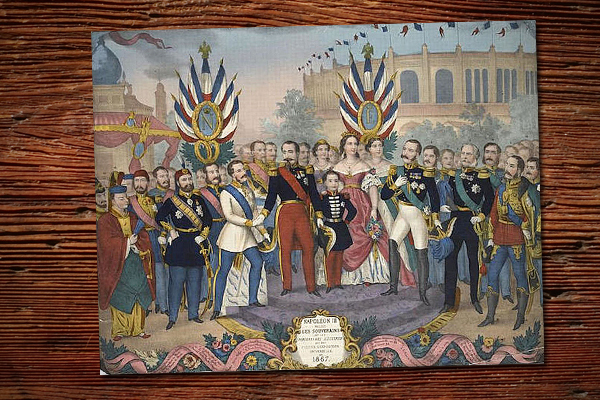 The year was 1867 – the year of Canada’s birth and across the ocean, the World’s Fair was taking place in Paris, France. So what better time and place to showcase Ontario wine for the entire world? Sending several bottles to Paris for a tasting, the lackluster wine was surprisingly well received at the fair, with some comparing it to Beaujolais. In a nation known as “the Siberia of the British Empire,” finding an area with a suitable climate to make wine can be difficult. So if you’re looking at a map of Ontario, what better place than the country’s southernmost point to start a vineyard? Pelee Island – located northwest of Cleveland, Ohio on the Canadian side of Lake Erie–proved to be the ideal spot in 1866 when three Kentucky farmers started the Vin Villa Winery. Being on the same geographical parallel as Northern California and benefiting from the lake’s cooling effect, Pelee, along with Lake Erie North Shore continues to be one of the province’s most important wine growing regions. And in Ontario, the political clout of its farmers resulted in wine being exempt from any restrictive legislation. 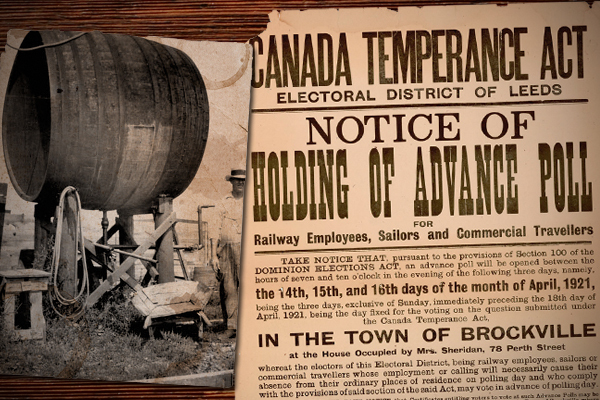 So with liquor and beer relegated to the underworld, the province’s wine industry thrived like never before, going from over 200,000 gallons of domestic consumption in 1921 to 2.2 million gallons a decade later. Before the Vintners Quality Alliance, when North American labrusca varieties reigned supreme across the province, Ontario wine had a reputation for being the choice of ‘winos looking to come alive for a dollar five.’ With alcohol rates in excess of 20%, native Concord and Niagara grapes offered the perfect taste to those looking for little more than a cheap buzz. 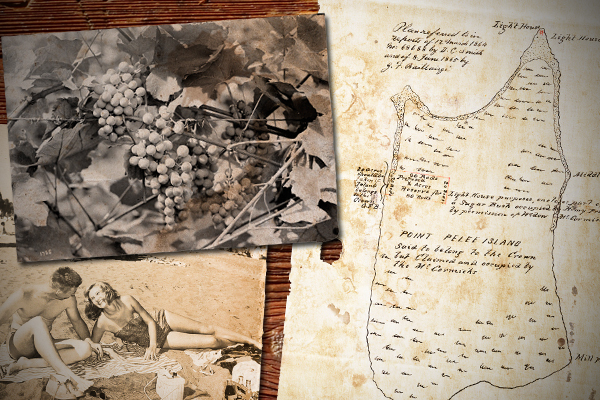 According to wine writer Tony Aspler, Ontario became known for producing “block and tackle wines.” “You drank a bottle, walked a block and you could tackle anyone,” said Aspler. If Ontario wine were a hockey team, then the mid 1970s was their rebuilding period. 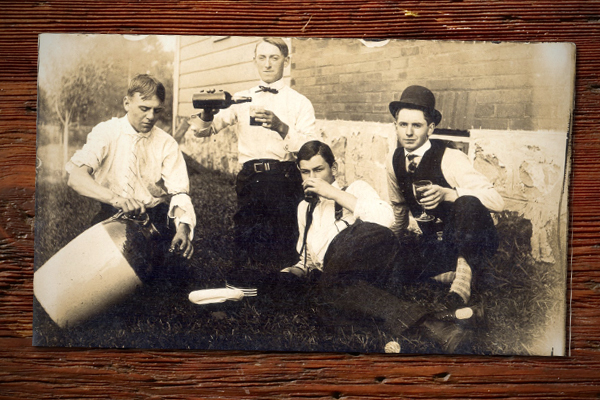 It all started in 1975 when Inniskillin was granted a license by the province to create an estate winery – the first since prohibition. Moving away from the high-alcohol port and sherry style wines, this new breed of vintners turned the corner by growing vinifera vines that could hopefully compete with Europe. The result was that by 1986, these vines had increased by 500 percent across the province. Under the government of Brian Mulroney, trade barriers came crashing down as Canada signed both the FTA with the United States (later NAFTA) and GATT. So with tariffs being phased out, Ontario’s winemakers were no longer sheltered by protectionist policies and forced to compete with the wines of Europe and America on a more level playing field. Softening the blow, the Canadian government invested $100 million dollars to replace undesirable labrusca grapes with vitis vinifera varieties more popular with consumers. 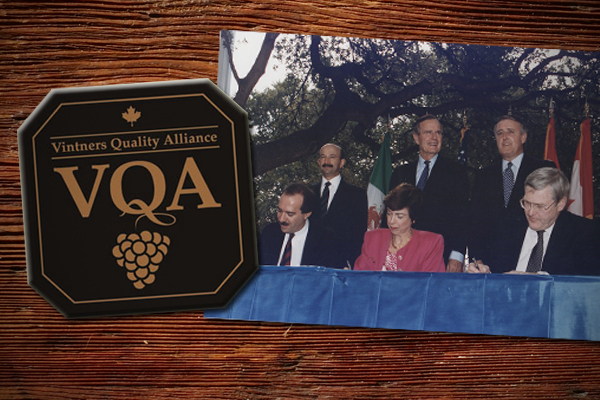 And to ensure quality standards, a new organization – the Vinters Quality Alliance (VQA) – was established in 1988 to regulate the industry and to certify that growing and production methods were up to par with the other wine regions of the world. 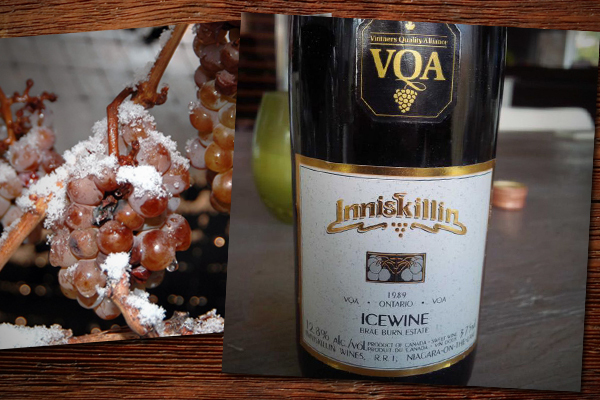 In what can be described as Canada’s “Bottle Shock” moment, Inniskillin’s 1989 Vidal ice wine wins the prestigious Grand Prix d’Honneur at the 1991 Vinexpo in Bordeaux, France. After more than a decade of trial and error, Ontario’s ice wine industry is thrust onto the world stage with this upset over the dominant German Eiswein. More than twenty years later, ice wine exports reach over 200,000 liters per year and is valued at $15.5 million annually. 9. The east wants in! 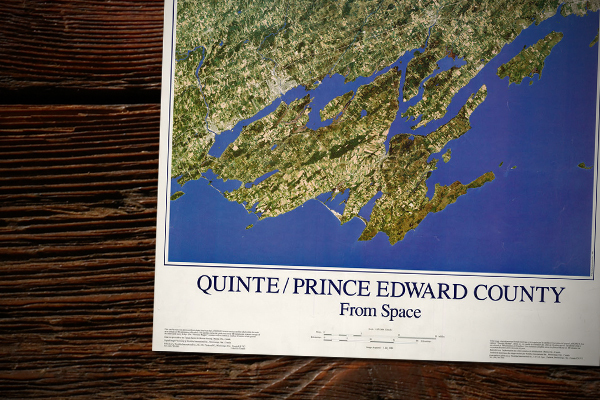 Roughly a two-hour drive from Toronto, the picturesque island known as Prince Edward County has come a long way since being labeled the “Canning Capital of Canada.” Beginning in the 1990s, the wineries there have grown by leaps and bounds with PEC being certified a Designated Viticultural Area in 2007. As you cross over the Bay of Quinte into this scenic eastern Ontario getaway, you’ll understand why so many make the pilgrimage each year to taste their wines. 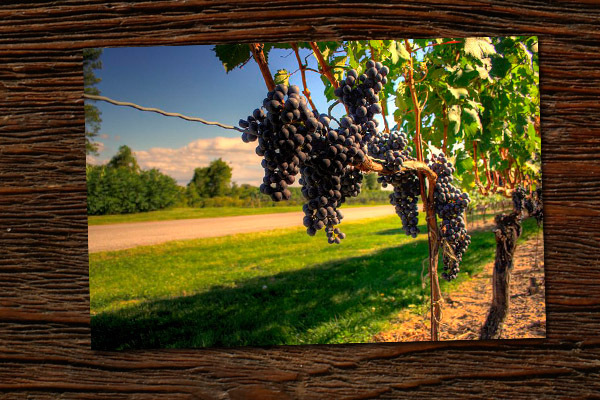 With a relatively mild climate thanks to Lake Ontario, the thirty wineries on the island have flourished, growing a variety of grapes that include Chardonnay, Pinot Noir, and Cabernet Franc, to name just a few. Today, it seems as if every actor, musician and professional athlete has their own winery–’Brangelina’, Dave Matthews, Arnold Palmer and NASCAR’s Jeff Gordon just to name a few. But what about Ontario? Looking at the list of celebrities who own wineries, the province clearly has not been left out in terms of star power. 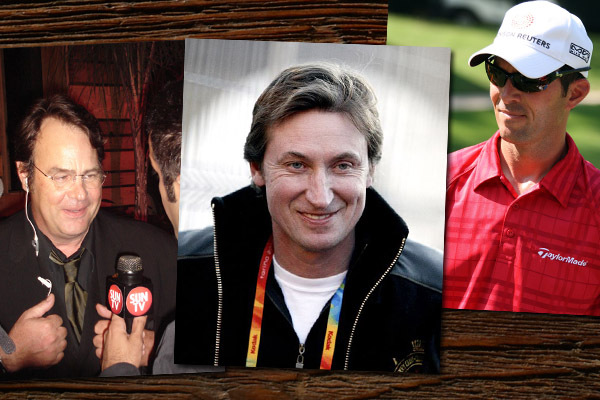 Ghostbusters star Dan Aykroyd, 2003 Masters winner Mike Weir and “The Great One” Wayne Gretzky have all put their names on Ontario’s flourishing wine industry. At the International Wine & Food Society, we have a solid presence across the province, with branches in Toronto, Oakville, Kitchener-Waterloo, and Niagara. Perhaps these locals can tell you which Ontario wine(s) they would recommend? Have you tried wine from Ontario?